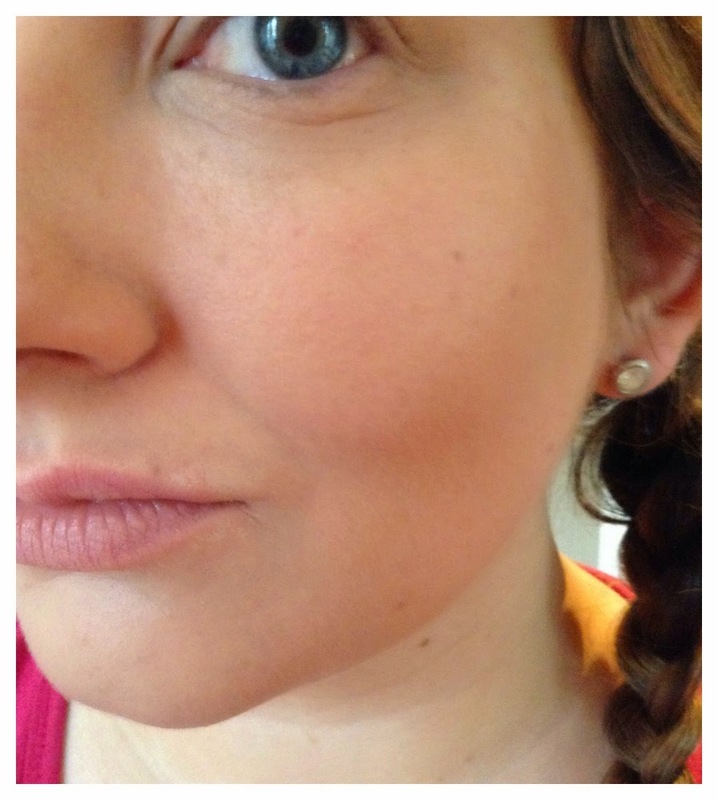 YSL Le Teint Encre de Peau/ Fusion Ink Foundation-before and after pics! You may remember a couple of weeks back I shared my joy and excitement for the new YSL Le Teint Encre de Peau/ Fusion Ink foundation. If you don't remember, why not have a read of that post now? Anyways, in summary, I met with YSL's head European makeup artist, Fred Letailleur, to muse and coo over the new YSL foundation. As I explained, I am a fan of the Touche Eclat and Youth Liberator foundations already and I generally just adore all YSL makeup so I had high hopes. I'm not going to go into the science and development aspect of the foundation again- like I said, I have the whole entire life story of the foundation detailed in the other post. What I want to do know is let you know whether I have enjoyed using this foundation over the last few weeks and whether I would recommend you go out and spend your sheckles on something else. Le Teint Encre de Peau/ Fusion Ink foundation is YSL's first dalliance with the longwearing foundation market and many many years went into developing and perfecting the formula. The actual foundation itself is very very liquid, similar to the Armani Maestro foundation or the more budget friendly L'Oreal Eau de Teint foundation. Don't worry about getting messy or wasting any of the precious foundation juice however- the kind gods at YSL have popped a quill shaped applicator into each and every bottle to assist your application. For shade reference, the same shade system applies to YSL foundations across the board- I take shade BR20. As you can see from the pictures above, the coverage is medium but easily buildable. One coat was enough to banish the redness from my nose area and it also went quite a way in concealing my undereye area. The foundation feels incredibly moisturising on the skin, very lightweight, and has a natural semi-matte finish. When I hear longwearing I think of thick, heavy foundations that stick to every single imperfection on your skin and leave you with dead, flat looking complexion. I'm very glad to report that this foundation did none of those terrible things. One coat is plenty coverage for day, but I usually put on two for work, and you can see from the third picture how easy it is to build up cover. There is a bit of a sheen or glow to this foundation but I wouldn't say it's a glowy foundation- it just does something to give your face a bit of life. My skin is quite dry and I was worried that such a thin formula would get sucked into my fine lines around my eyes or my pores around my nose but as you can see, they didn't. I just make sure my face is well treated and moisturised before popping on the foundation and that's pretty much the extent of it. I don't need to use primers, and more shockingly, I haven't needed to set this foundation with a powder even once since I got it, in spite of the heat and humidity and any other weather conditions thrown our way. As for the longevity- A++. This easily lasts the whole entire day on my face without any need for touch ups or top ups or powdering. It's such a hassle free foundation. Two coats of foundation gives amazing coverage- I have no concealer whatsoever on in this finished look picture. Nada. Fred recommended using a flat painter style foundation brush on this but I just cannot handle that mastery so I stuck to my beloved Blank Canvas Cosmetics F20 which does a great job at dispersing the little dots of foundation that the quill applicator deposits all over your face and leaves a lovely airbrushed finish. I am seriously, seriously impressed with this foundation- I think it just might be heading for holy grail territory. I LOVE this and y'all know how critical I am of foundations now. I actually love this so much that I am going to go back and buy it in my tan shade so that I can wear it on nights out. At €40, it's not cheap BUT I think it will last ages because you really only need a few dots to cover your face. This is already available in Brown Thomas in Ireland or Debenhams in the UK and will be released nationwide on 20th August. Are you tempted by this foundation? It looks amazing on you! Reading great things about this, seriously tempted! Girlfriend you look amaze and now I want this foundation immediately! You look fab, with & without it....dunno what you were worrying about. I have this too & love it. I have combo oily skin & it's the only foundation that would stay on my nose in the recent humidity. Sounds like the one! Really flawless on you, also really loving the hair colour! It looks lovely on you - it sounds like a lovely foundation!